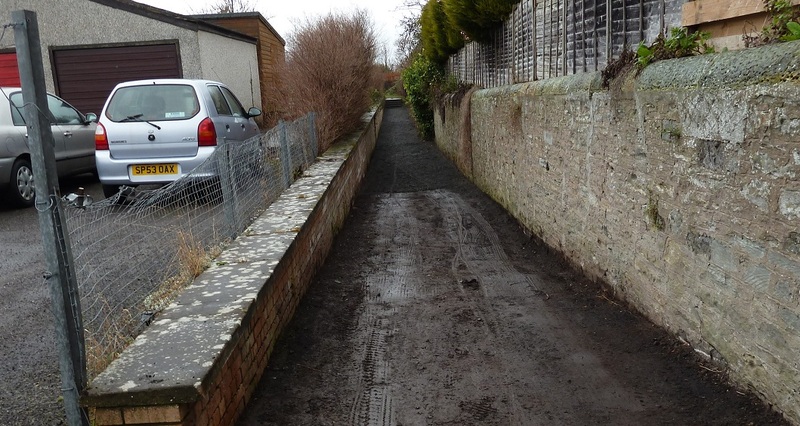 Yesterday morning I visited Beach Lane in Broughty Ferry to examine the condition of the path that connects Grassy Beach and Dundee Road. The Courier and Evening Telegraph both reported on Tuesday that the resurfacing of the muddy section of this path had been undertaken by the Environment Department in preparation of the temporary closure of the coastal pathway between Douglas Terrace and Grassy Beach and the diversion along this pathway. The picture shows that, the resurfacing that I had called for in August last year and at the beginning of this month was well underway. It looked as though, with the laying of another load of grit, the resurfacing of the muddy section of the Beach Lane path would be complete. I trust folk using the Beach Lane pathway find this resurfacing work by the Environment Department an appreciable improvement to underfoot conditions. Demolition of Tayside House - Slowly Does It!